I’ve been playing with wire crochet for a few nights, and I’m not sure how I like it. 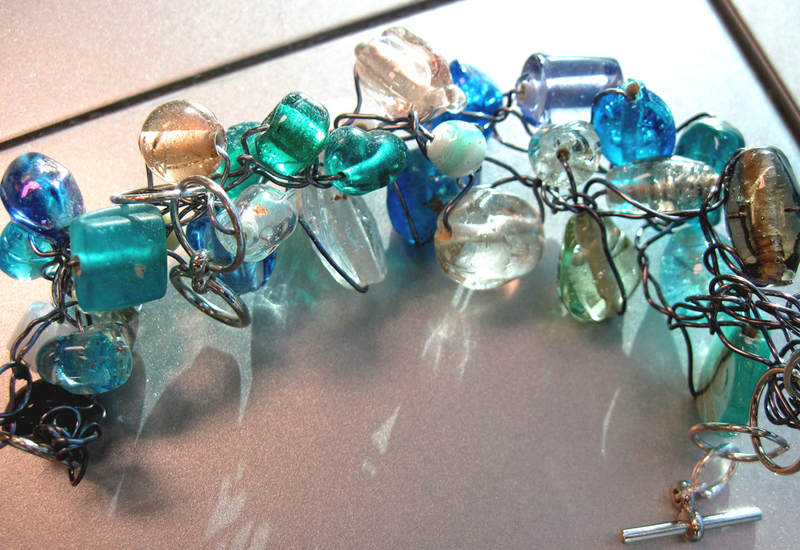 I’ve done a few practices with glass beads that I have, and I think they turned out pretty, but I need to practice. 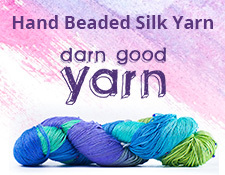 It’s all basically chain stitch with a Size G crochet hook. I have some clasps and such that I still have from a previous beading supply purge. This was the first strand that I practiced with. I didn’t cut enough wire, so it was just a test strand, I suppose. Bracelet 1: I crocheted two different strands with glass beads, wrapped them together, an linked them with jump rings and a toggle clasp. The jump rings are cheap and do not stay closed. And it needs a bigger clasp. Bracelet 2: I used a thinner type of wire this time. 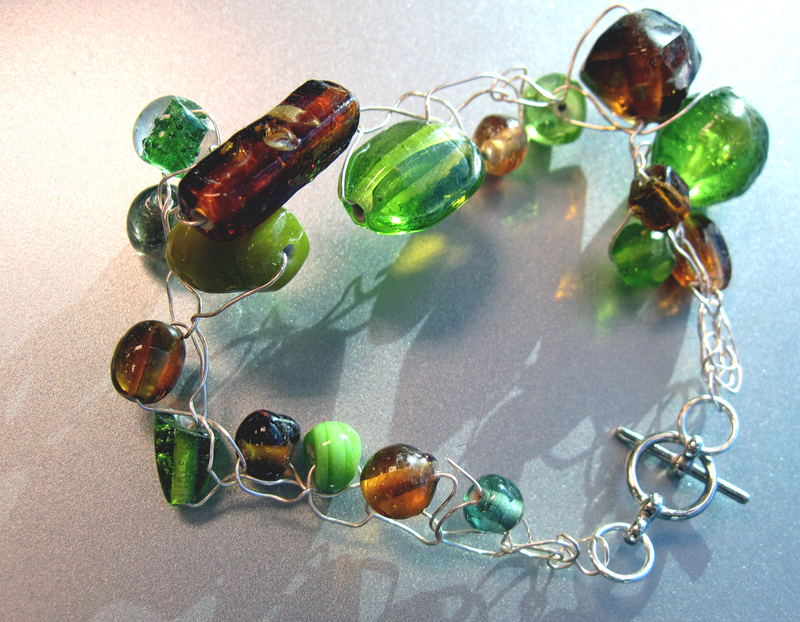 It’s only one strand with alternating amber glass and green glass beads. 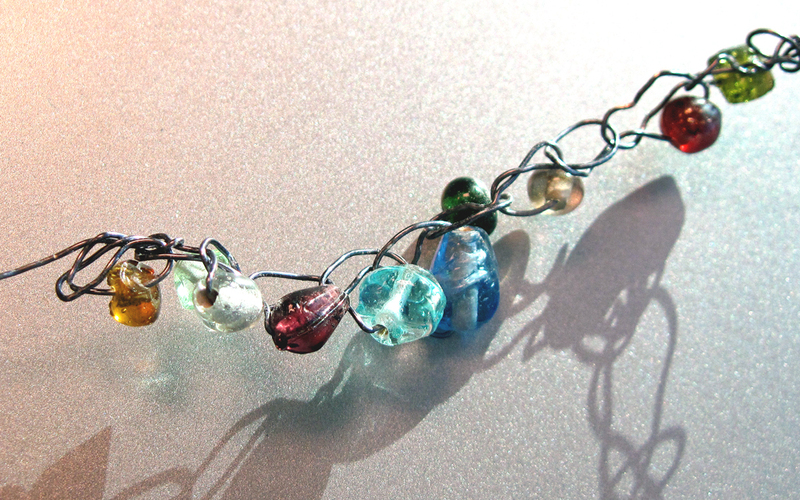 It’s sort of hard to find tutorials on this internet about wire crochet jewelry that aren’t videos. I’ll probably play with this a little more over the weekend, and will post those results here. And, perhaps I will have a decision whether I like, or have the patience, for more intricate crochet wire work.